We leave today for England where we´ll be staying in Poole - home of the RNLI college where we´ll be visiting with the world´s oldest marine SAR organization to explore how they conduct some of their training programs. 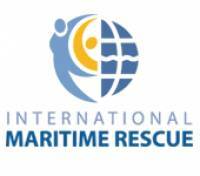 After that we´re off to Sweden for the conference and the official launch of the http://www.international-maritime-rescue.org web site that we´ve been working on for the last year. Finally it´s a side trip to Ireland - this one is mainly just for fun but we´re owed a visit with some of the chaps from the Irish Coast Guard after we met many of them at ISAR 2005. We should have Internet access from most of the hotels and we hope to be able to keep making some posts to the blog - so Stay tuned and we´ll try to keep you up to date. In other news we´ve got the tracking system ready for the next SALTS Offshore and completed initial INMARSAT-C testing with Skipper Tony - so look for new positions from the Grace to follow as the Offshore gets underway on June 2nd - the same day we start the conference. This will be the first time a SALTS vessel has departed on an offshore that I haven´t been there to see them off - so I´ll be sending my bon-voyage from the other side of the globe!